Sunday’s winners at Day 2 of the US Open of Cyclocross changed things up from Saturday. 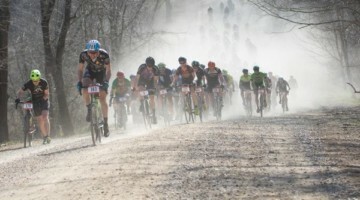 Courtenay McFadden (Pivot Cycles p/b DNA Cycling) took the win on Sunday, beating out young star Katie Clouse (Alpha Bicycle Co. – Groove Subaru) and Caroline Mani (Van Dessel Factory Racing) in a sprint. 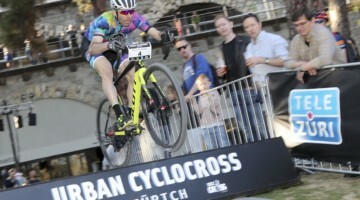 Australian Garry Millburn (Speedvagen / MAAP) has been racing in the U.S. since the Jingle Cross World Cup. Millburn had his biggest race of the trip thus far in Boulder, winning the Men’s race. Joining Millburn on the podium were an international group of Hector Riveros (Stans NoTubes p/b Maxxis / CZ Racing) of Columbia and Michael van den Ham (Garneau-Easton) of Canada. Gage Hecht (Alpha Bicycle Co. – Groove Subaru) took the win in the Men’s U23 race. Top five Women’s and Men’s finishers are below. 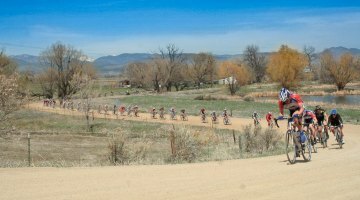 Stay tuned for full results and a race report from Boulder.